We all live in terror that our readers will say “I hate it,” or, even worse, “Eh, it was okay.” As a result, any sort of genuine positivity sends us over the moon. But don’t confuse “They really like it” with “They love it.” If your comedy isn’t making people laugh out loud… If your drama isn’t making them cry real tears… If your horror movie isn’t making them leave the lights on all night, then don’t send it out yet! You are competing against hundreds of thousands of very talented screenwriters! It costs at least a million dollars to make a movie. Is someone going to read your script and feel excited about spending a million dollars to make it? It’s really hard to get from very good to great, because it’s really tempting to say, “Everybody likes it, that’s good enough for me!” It feels petulant and mopey to say, “Yes, but they don’t like it enough.” But that’s what you need to say. In fact, you need to go back to those people who praised it and ask them what you need to change. When I’m lucky enough to read an amateur screenplay that I really like, I usually say something like “This is fantastic—but it needs two big fixes to put it over the top…” Unfortunately, I quickly realize that their ears tuned out as soon as I said “fantastic”, and they could care less about the notes . Your fans are precisely those people whose notes are the most vital. These people are simpatico with you. They’re on your wavelength. They get it. If they think there are a few more vital changes to make, then take those requests very seriously. Here’s a good Times article on the advice Steven Spielberg gives after screenings, which often make the movies much better. 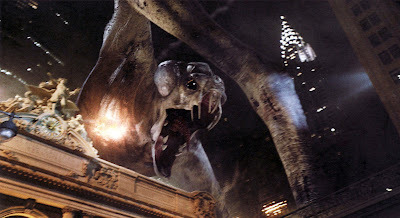 I particularly like the tiny tweak he suggested for the end of Cloverfield that made the movie much more satisfying while still keeping the ending ambiguous. Matt, is there anyone you would recommend to give good constructive notes? It's becoming an industry in its own right, they can't all be good. I don't, sorry. Maybe someone else does. I've actually thought about offering that service myself, but I've never committed to it. My playwriting teacher: "When it excites murderous envy in your peers, it's probably ready." Paul, you might want to check out the rates for notes at ScriptShadow, which is where I first heard about Matt's blog. Also worth looking into is The Writers Store in Burbank, CA. The advantage of both places, I'd think, is that they've seen it all before and yet can still be constructive. 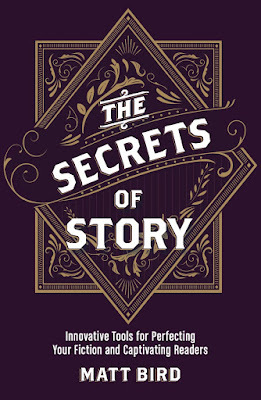 With the bonus that if you write something truly exceptional they'd be interested and able in helping you pass it on.